I really enjoy laying out designs for signs and making them myself. I’ve thought much about starting a small business of custom made farmhouse signs, but just haven’t. Yet. However, sometime early last Fall, I did make a few handmade farmhouse signs I had in mind for our own home. And today, I am getting around to sharing them with you. They are super simple and rustic in design, which is pretty much my style, and fitting for our home, where much of everything is made by us, in just that fashion. 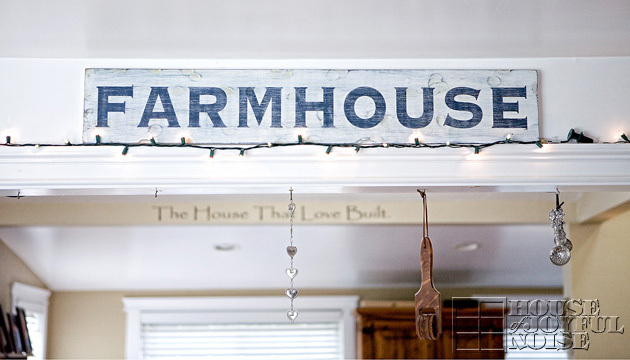 I hope you enjoy checking out these farmhouse signs. I’ve got a list of things I’ve said that about. Doesn’t everybody? Do you? As for me, some of those things I’m actually working on now and then, and some are still sitting on the mental ‘someday list’, completely untouched. 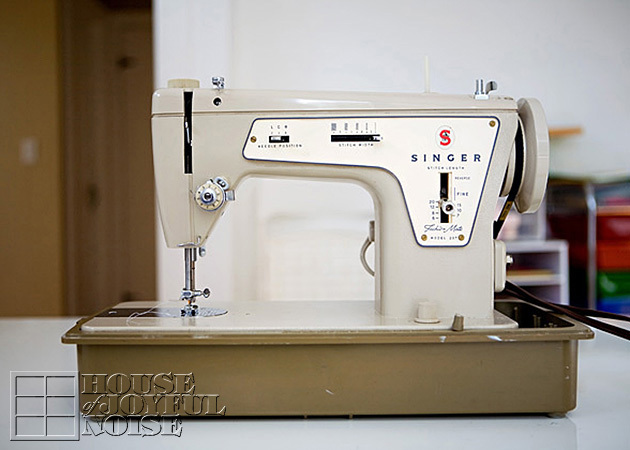 But learning how to sew, and run a sewing machine, is something I’ve actually gotten to! Oh, there is always more to learn, and I will. But my main motivation was simple: Pillow shams. This girl loves throw pillows, as part of our home decor accents, as well as comfort. That include seasonal and holiday throw pillows. But seriously, I’m sure you could agree that there is only so much storage room available, for gads of interchangeable throw pillows. And the perfect solution to that, as far as I could figure, is pillow shams. I could just change up the shams on the pillows with the seasons and holidays! They would take up virtually no space at all, just folded nicely in a pile somewhere. 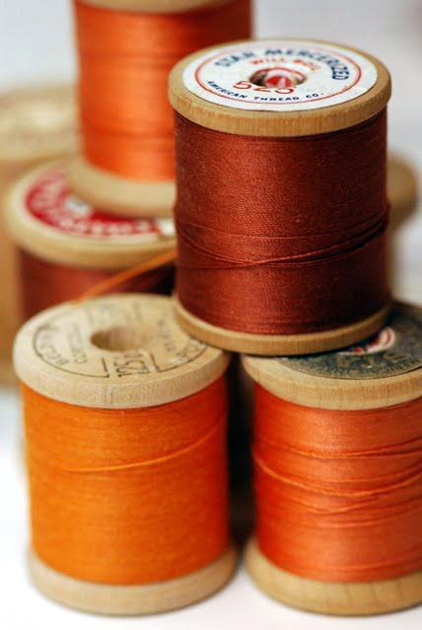 But first, of course, I needed to learn how to sew. Fall is here, and while nature readies itself to bless us with the year’s annual grand finale display of beauty in New England, our gardens had found it time to wither and fade, with an early prep for a long winter rest. 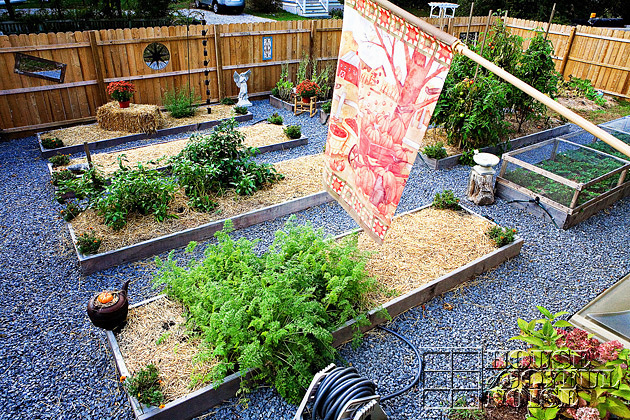 Especially since we opted to not plant anything new for a fall harvest this first season in our new garden area. We still have lots of carrots in the ground, and we’re still picking peppers of all kinds. But everything else was pretty much done. 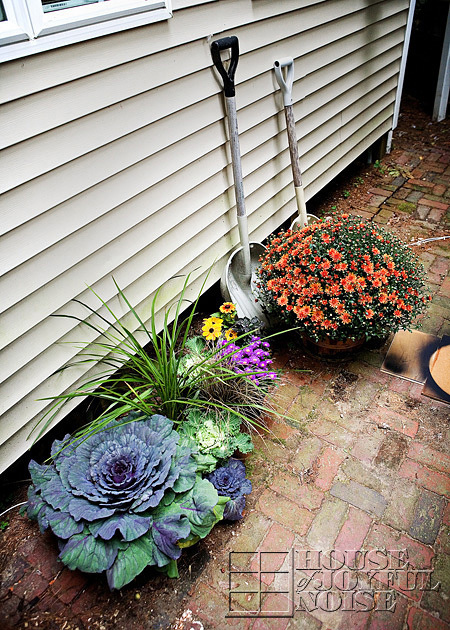 So with a good wait in front of us before a pure blanket of white snow covers all that is post-life and ugly, we wanted to keep the beauty going a little longer, with some festive Fall garden and home outdoor decor. We thought you might enjoy seeing the photos of our efforts. We worked with an abundance of the typical Fall elements: Glorious mums in a variety of shades, pumpkins of various kinds, straw bales, cornstalks, and gourds. But we also planted our first big arrangement in a huge whiskey barrel, and we’re excited to show you that! The days came where I couldn’t wait any longer. So we got to work over a weekend, and banged it all out. Here’s an overvew of the fenced garden. We’ll give you a closer look around in a minute. But let’s talk about the fresh layer of straw over all of the beds first. We use it all gardening season long around the plants in the beds as a mulch, to protect the soil from the sun. It does a great job of keeping the beds moist, and not drying out to a dush in the heat. It’s important to be sure you are using straw in gardening though, as opposed to hay, because hay has seeds, and unless you are going for wheat fields, you really don’t want all these seeds falling on your garden soil. 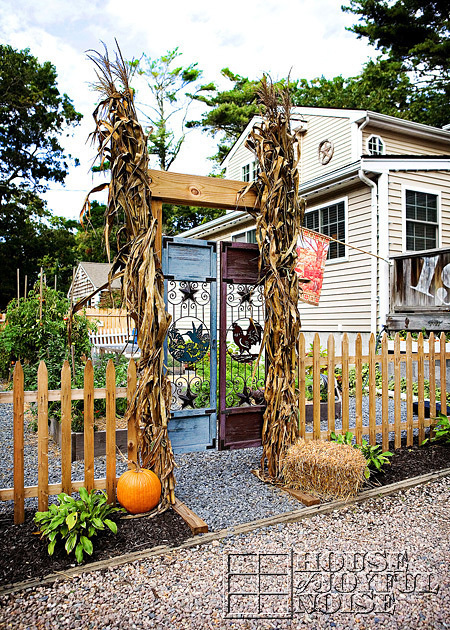 The straw is not only a beautiful golden color for a Fall look, but throughout the bitter winter here in New England it helps protect any perrenial plants buried in the garden beds, holding in some heat from the earth. Come spring thaw, what is broken down can just be turned into the soil with other more enriching compost. Ok, less talk, more photos, now. Have you ever met our hedgehog, Paprika? If not, we thought we’d introduce you to her, today. If you have, you might want to see how much she’s grown! You’ll just want to let all of the photos load, so you can see if she does indeed have some serious cute-factor, or if it’s just us. So give it a moment. We think you’re going to love her. 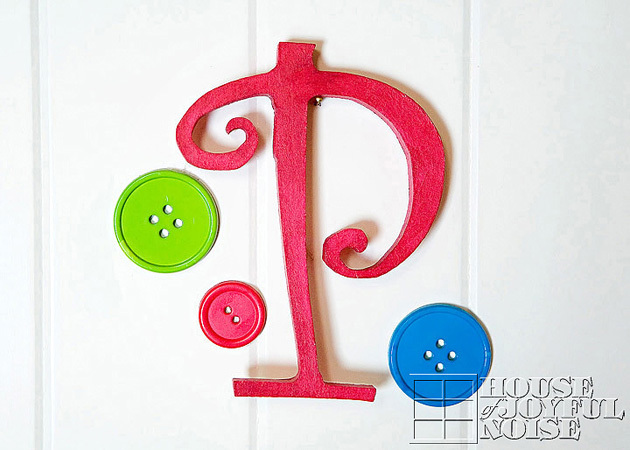 P is for Paprika, of course. And here she is . . . .
A privacy fence certainly serve it’s purpose well. But it can also appear really unfriendly, sterile and boring. And everyone knows we especially don’t like boring. So having had the plan to put up a 6 foot privacy fence around our new front yard garden sanctuary, we started brainstorming on how we could give our own new privacy fence a creative and unique, eclectic decorative flair. Because especially right on the street like this, and partially blocking the view of the house from the front angle, we knew it was going to just look a little . . . . well, as we said, a little unfriendly, sterile and boring. And not necessarily nice looking in any way. And we wanted it to look nice! 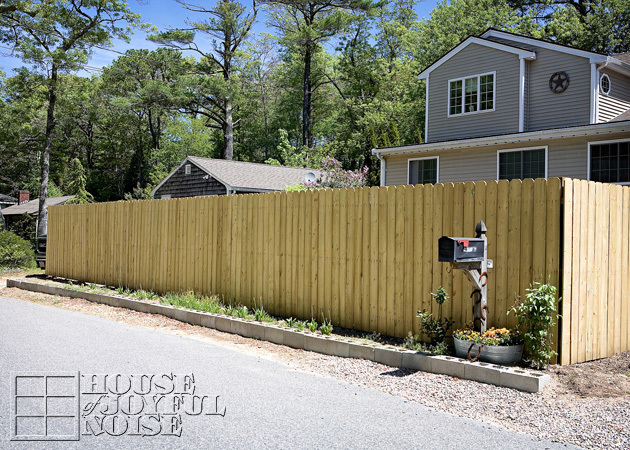 Our goal was to customize the fence, and alter the whole feel if it in some way, while still allowing the fence to serve it’s purpose of privacy. And I think we came up with a pretty great idea! We really love where it’s going, anyway. It’s going to look even nice, when we have plantings all along the front of the fence as well as along the side. Probably Hostas, but maybe some ornamental grasses, too. We just haven’t gotten that far yet. It was recently lined with spring tulips, but they are died out now. NOTE also . . . .
. . . . that like the gardens area, the fence decor itself is not done yet, either. We will be adding to it in time, as well, without going overboard. But we feel like it’s an appealing improvement! Take a look at what we did. . . .